Bhubaneswar: Utkal University has released the provisional result of 3 Final Year (BA, B.Com, B.Sc) Regular 2017 (2014 Admission Batch) in the official results website of the varsity. The results are made available for all the students who have appeared in final year exams of the plus three degree examinations of university. 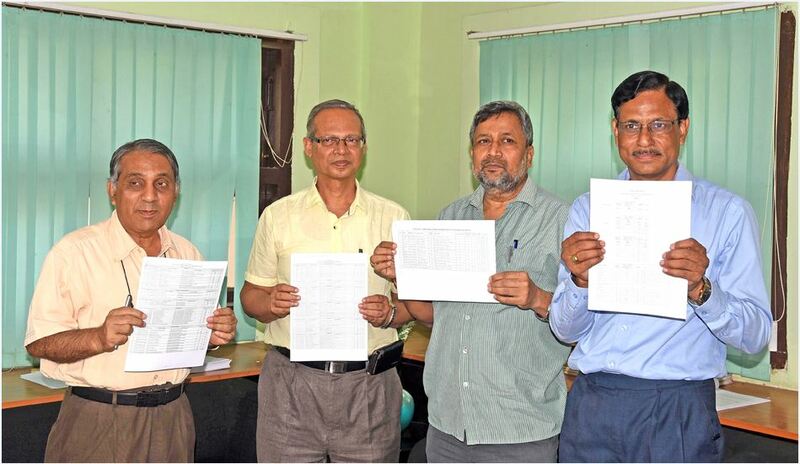 The results are available at Utkal University’s examination management system, uuems.in website. Students will have to log in with their hall ticket number and password to check out the results. The overall pass percentage in Arts, Science and Commerce streams was registered 88.66%. 90% students passed in the Arts stream while Science and Commerce had 91% and 85% success rate respectively. Around 50,332 students appeared +3 from colleges affiliated to Utkal University this year. Around 35,110 students appeared the exam in the Arts streams while 9,966 were from Science, and 5,256 were from commerce stream. The university has said that those who have reappeared 1st or 2nd Exam 2017 have to await publication of 1st and 2nd 2017 result. This result is likely to be published in the last week of May 2017. That result will have the combined result.